Discover offers credit card options that allow cardholders to earn cash back on purchases. They also have business credit cards with generous incentives that help organizations save big on common expenses. If you are looking for a card that has forgiving terms, the Discover it Credit Card is worth considering. This credit card enables consumers to reduce debt balances and get back on track financially without paying interest as a result of the 0% introductory APR for the first fourteen months. Once the promotional period period lapses, the interest rate ranges from 10.99% to 22.99%. However, reviewers from Credit Karma mentioned that a phone request was often all it took to be granted a lower interest rate. In addition, reviewers stated that the customer service staff was always a pleasure to work with when issues arose, such as billing discrepancies and suspected fraudulent activity. Beverly Harzog, a credit card expert, also noted that the card was a preferable option for consumers looking for a credit card that offered rewards along with a a safety net because it offers 5% cash back and has a "forgiving nature" with regards to late payments. 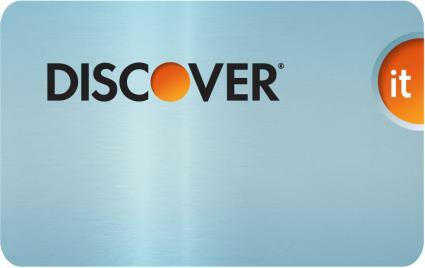 Unfortunately, if you have less than perfect credit, you may not qualify for the Discover it Credit Card. In addition, the credit card does not offer a cash back bonus for signing up. Jason Steele of Money Talks News also pointed out in a review that the spending cap of $1,500 imposed on the purchases eligible for 5% cash back only enables you to earn $300 per year (or $75 each quarter). The Discover it for Students is a very popular credit card that offers more competitive incentives than comparable products on the market. As long as the balance is paid in full each month to avoid interest, this credit card is a great option for students to start building their credit. In addition, cardholders are able to take advantage of the benefits that Discover offers and the cash back program without paying an annual fee. In order to cash in rebates, you must have earned at least $20. Those who prefer to receive cash in lieu of products must have a rebate balance of $50 or more. Katrina Gutierrez of Daily Markets mentioned in a recent review that these redemption options are less favorable for students with limited card activity. Discover Business Card offers 5% cash back on first $2,000 in office supplies and 2% on first $2,000 in gas purchases and 5-20% through the exclusive online mall. Not only do the Discover business credit cards have a generous rewards system, but they also give cardholders the opportunity to enjoy discounts available through merchant partners. In addition, companies with multiple employees can request additional cards free of charge and have the ability to manage their account online. The review from Ask Mr Credit Card mentioned that the the spending cap placed on the cash back offers was substantially lower than that of competitors. Therefore, those who purchase an extensive amount of office supplies and gasoline will be limited to the amount of rewards that they can earn regardless of expenditure levels. Before making a selection, be sure to carefully review the terms and conditions of the Discover card for which you plan to apply.